Middle school can be a challenging time for young adults. 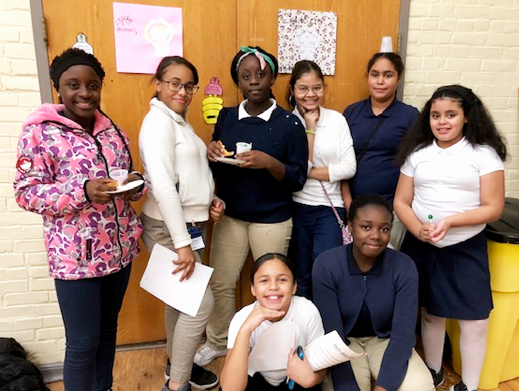 YWCA New Britain's STRIVE is a FREE program that provides youth development activities for girls attending Slade or Pulaski Middle School. STRIVE, which stands for Strength, Teamwork, Respect, Individuality, Vision, and Excellence, is a program where girls can feel safe and comfortable, while still learning and having fun! Girls meet Mondays, Tuesdays, Thursdays, & Fridays from September to May. Program hours are from dismissal until 6:00 pm. Applications can be picked up and dropped off at the YWCA, the school’s main office or guidance office. You can also download an application here. Registration is limited, and a priority list is consolidated by the guidance counselors at the middle school. For more information about the STRIVE program, contact Joanna Ruggiero- Rivera at 860-225-4681 x293 or jruggierorivera@ywcanewbritain.org. Want to know more? Connect with us on Facebook, Instagram, and Twitter to see what we’re up to, special event information, promotions, resources, and much more. You can also give us a call, or stop in to speak to someone in person. We’ll be happy to help you get better acquainted with us! While a new school year presents challenges for all students, Daeja faced a tougher than usual transition upon entering 6th grade at Slade Middle School. Succeeding in school was already difficult enough for someone with ADHD. Daeja had difficulty staying seated and paying attention in class, and she seemed to be getting in trouble every single day. Life at home was stressful. She struggled academically, physically, and emotionally. Learn more about Daeja's experience and how STRIVE helped her. After school bus transportation is provided at 6:00 p.m. on Monday, Tuesday, Thursday & Friday. 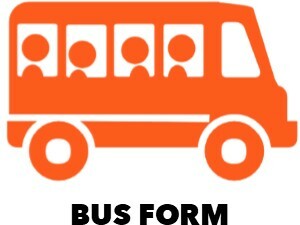 Please use this form to indicate which bus stop your child will take and submit to STRIVE.